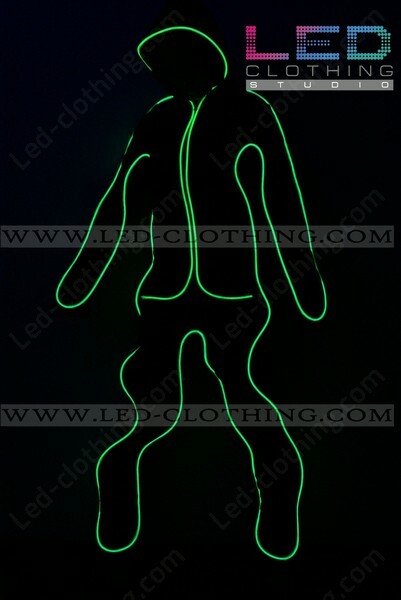 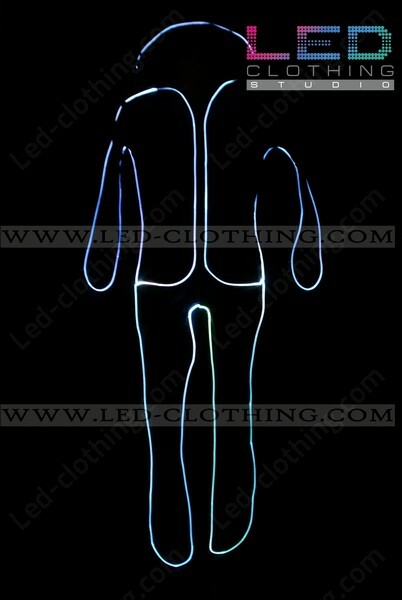 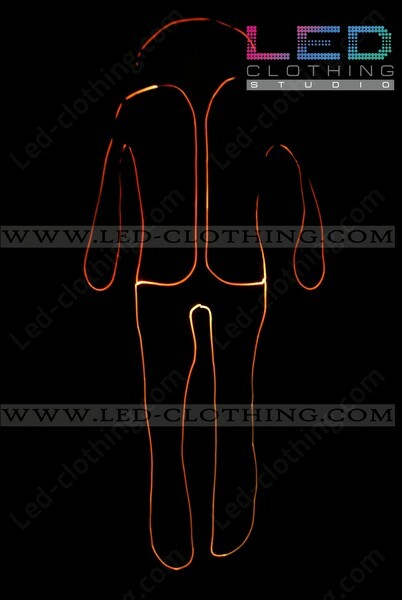 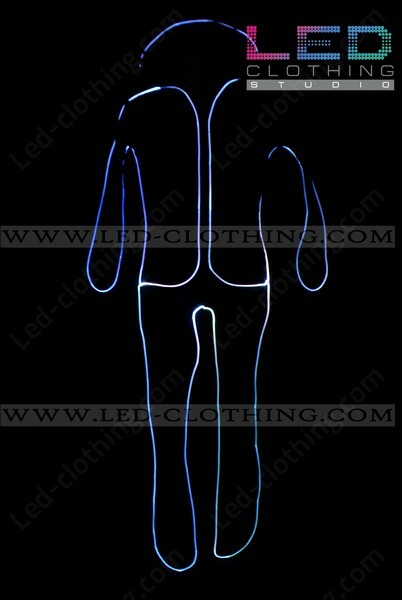 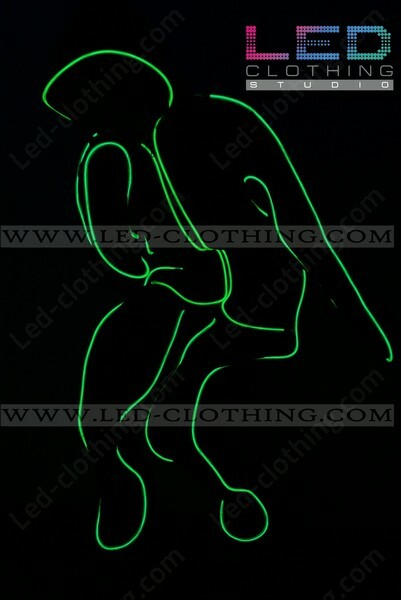 Ghost LED dance costume | LED Clothing Studio Inc.
It’s so much fun to get busted in our ghost fiber optic costume! 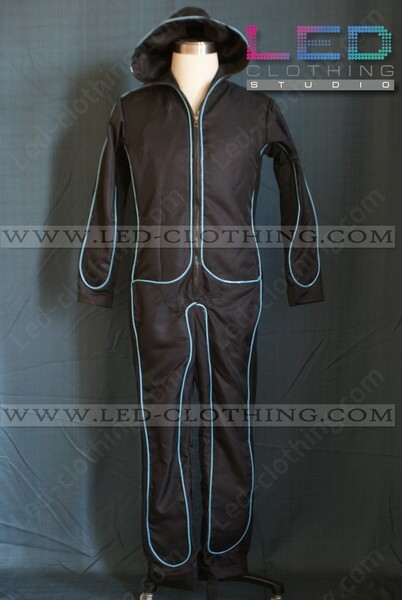 The suit features a high quality fabric jumpsuit with a hoodie and durable fiber optic outlining the silhouette. 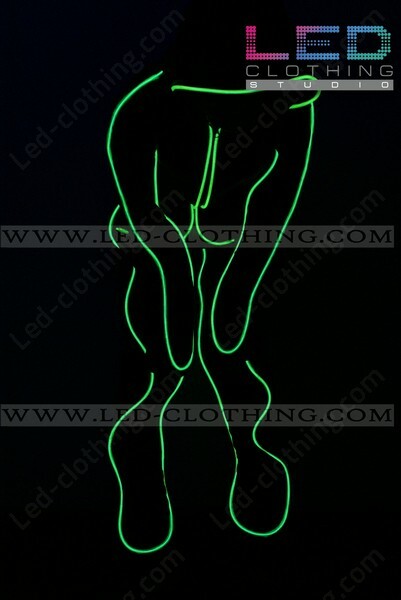 Whether for a theatrical performance or for a night party the Chost fiber optic suit will become your best friend in doing the trick. 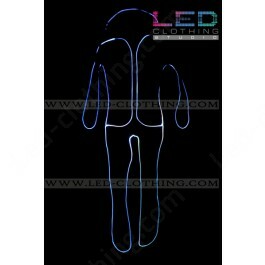 Front zipping leaves no need in assistance while suiting up and elastic durable fabric make sure your movements won't be constrained. 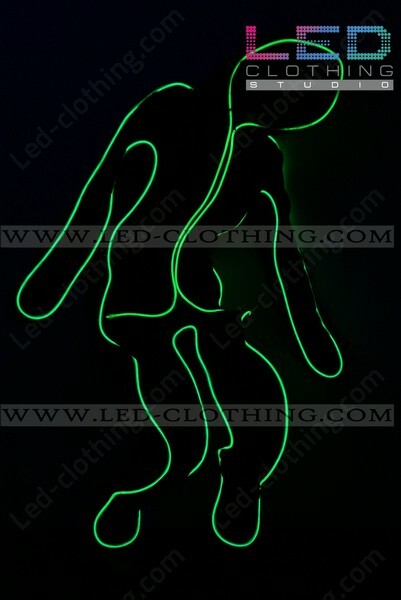 Get your fellow ghosts together and don’t forget to be fun!